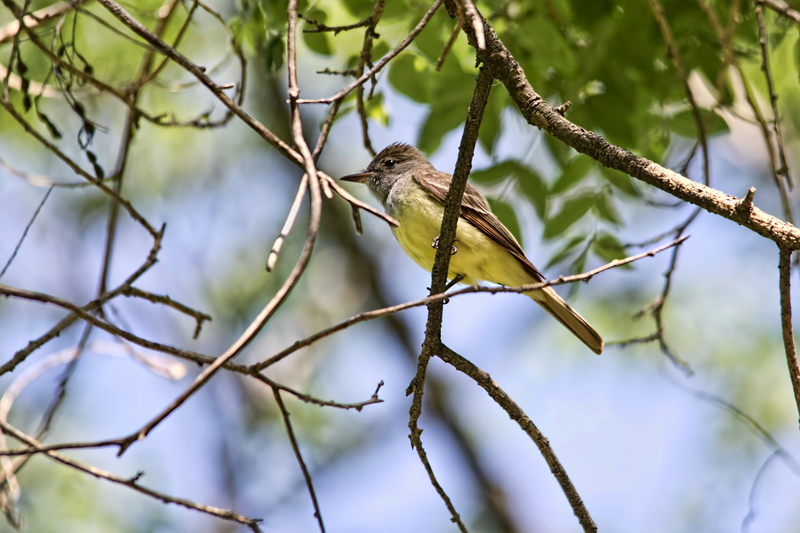 This lovely creature hiding up in the branches is a great crested flycatcher. They're allegedly quite common, but this was the first one I ever managed to see, much less photograph. So I'm dreaming of glaciers and snow during these bright hot days of early summer.